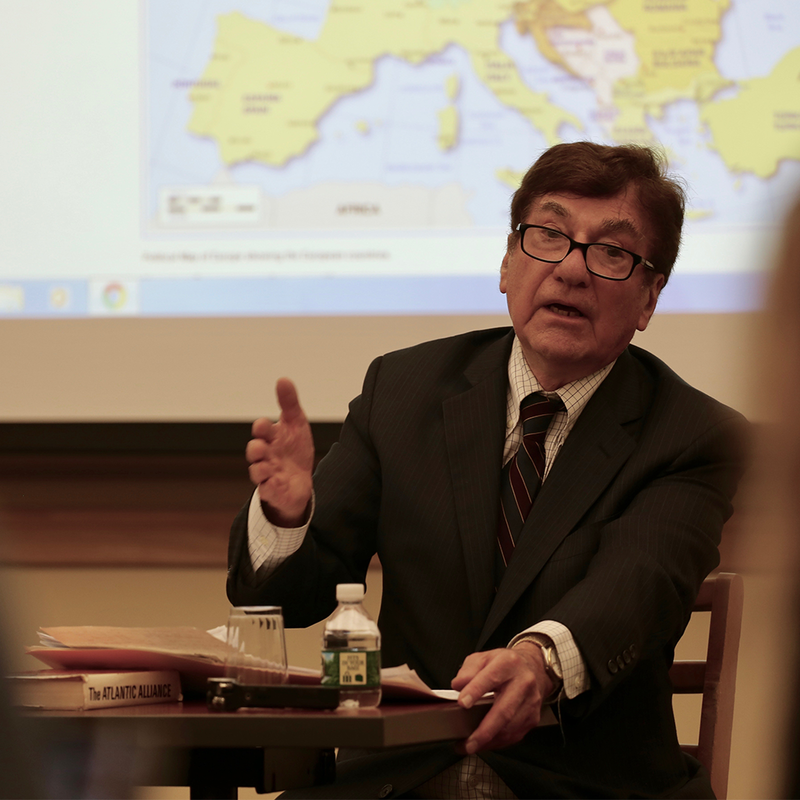 Ioannis D. Evrigenis is Professor of Political Science and Chair of the Department of Classics at Tufts University, where he also supervises a digital variorum edition of Jean Bodin's Les six livres de la république in French, Latin, and English. He is the author, most recently, of Images of Anarchy: The Rhetoric and Science in Hobbes's State of Nature (Cambridge University Press, 2014), of articles on a wide range of issues in political theory, and co-editor of Johann Gottfried Herder’s Another Philosophy of History & Selected Political Writings (Hackett Publishing Company, 2004). He received the 2009 Delba Winthrop Award for Excellence in Political Science for his book Fear of Enemies and Collective Action (Cambridge University Press, 2008), as well as the 2016 RSA-TCP Article Prize for Digital Renaissance Research, from the Renaissance Society of America, for his article "Digital Tools and the History of Political Thought: The Case of Jean Bodin." 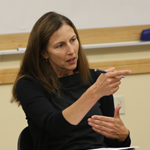 Erin Kelly is Associate Professor and Department Chair of Philosophy and Director of the Peace and Justice Studies Program at Tufts. Her research interests are in moral and political philosophy and the philosophy of law, with a focus on questions about justice, the nature of moral reasons, moral responsibility and desert, and theories of punishment. 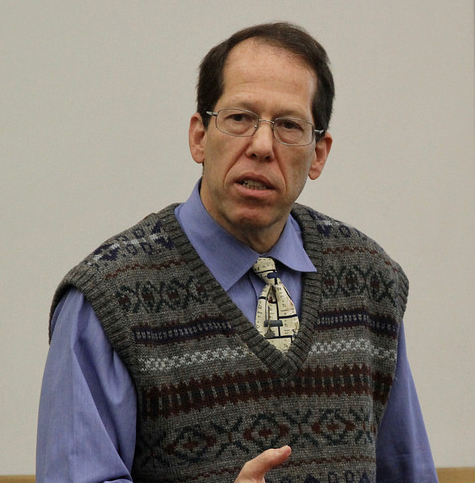 David Dapice is Professor of Economic emeritus at Tufts University. He is a leading expert on the economic development of Southeast Asia and has worked extensively in Indonesia, Thailand, Cambodia and Vietnam. He was principal advisor to the Indonesian Ministry of Finance when this country enjoyed its period of rapid growth. He has studied the Vietnamese economy since the late 1980s, with a particular emphasis on macroeconomic issues, public investment policy, and regional development. Professor Dapice’s expertise on matters of economic policy is regularly sought. He is authored or co-authored a number of policy studies including Choosing Success: The Lessons of East and Southeast Asia and Vietnam’s Future. 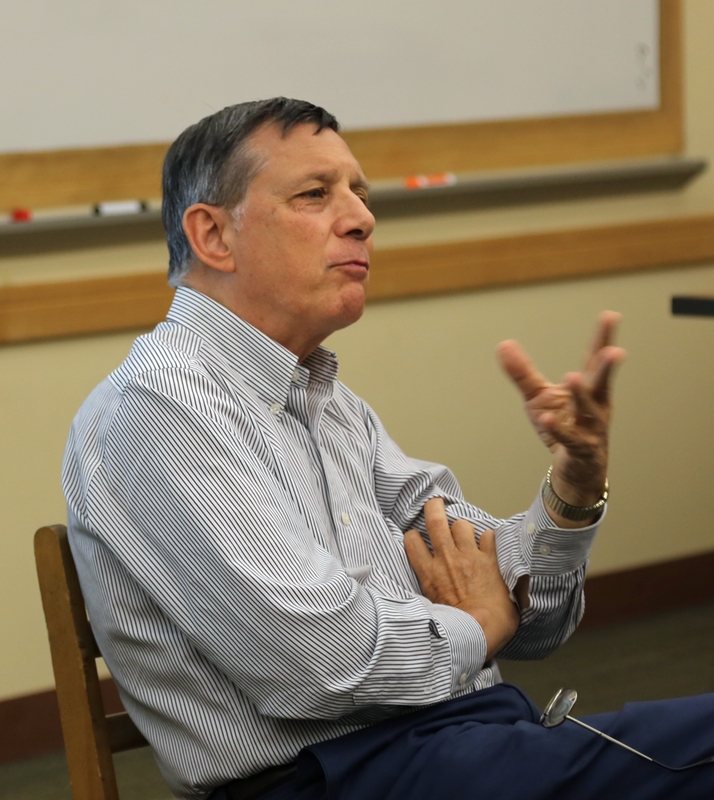 Robert L. Pfaltzgraff, Jr. is the Shelby Cullom Davis Professor of International Security Studies at The Fletcher School and President, Institute for Foreign Policy Analysis. He has advised government officials and others on military strategy, defense modernization, alliance relations, proliferation and counter-proliferation, terrorism, homeland security, and national security policy. He has lectured widely at government, industry, and academic forums in the United States and overseas. Between 2006-2009, he served on the International Security Advisory Board (ISAB), U.S. Department of State. Dr. Pfaltzgraff has authored and contributed to numerous books, reports, and monographs; some of his most recent publications include: Anticipating a Nuclear Iran: Challenges for U.S. Security; International Security Studies: Looking Back and Looking Ahead; A Near-Term Strategy to Counter the EMP Threat; and Missile Defense, the Space Relationship, and the Twenty-First Century. Jake Sherman (A’95, EPIIC’96) has been Special Adviser on UN Management and Reform at the United States Mission to the United Nations since 2015, where he focuses predominately on peace and security issues, including UN peacekeeping. From 2012-2015, he worked for the U.S. Agency for International Development as the Afghanistan and Pakistan Regional Team Leader for USAID's Office of Transition Initiatives, overseeing stabilization and countering violent extremism programs, and as the Agency's coordinator for the 2015 Quadrennial Diplomacy and Development Review. Previously, he has worked on UN policy and Afghanistan-related issues for the New York University Center on International Cooperation and the International Peace Institute. 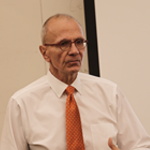 He has also served as a Political Affairs Officer for the United Nations Assistance Mission in Afghanistan, as a consultant for non-governmental organizations in Cambodia, and for Physicians for Human Rights in the former Yugoslavia. Mac Maharaj played a key role in the negotiation process to South Africa's first democratic elections, and was joint secretary in 1994 of the Transitional Executive Council. A political activist since the early 1950s, he was a member of the African National Congress' armed wing Umkhonto weSizwe. He served on the ANC National Executive Committee and was a member of the SACPs political bureau and central committee. In July 1964, Maharaj was arrested in Johannesburg, charged and convicted with four others on charges of sabotage in the little Rivonia trial, and was imprisoned on Robben Island with Nelson Mandela. In prison, he secretly transcribed Mandela's memoir Long Walk to Freedom and smuggled it out of the prison in 1976. After being released from the Robben Island prison in 1976, Maharaj was deployed by the ANC to Zambia in 1977. He was elected to the National Executive Committee of the ANC in 1985. From 1988 to 1990 Maharaj worked underground in South Africa as part of the ANC's Operation Vula, which was a project to infiltrate the ANC's top leaders back into South Africa. He was post-1994 South Africa's first Minister of Transport, and became the official spokesperson for President Jacob Zuma in 2011. 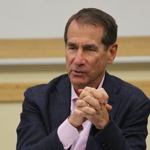 Alan D. Solomont, A70, A08P, former U.S. ambassador to Spain and Andorra and a lifelong social and political activist, serves as the Pierre and Pamela Omidyar Dean of the Jonathan M. Tisch College of Civic Life at Tufts University. Before his posting to Madrid, Solomont chaired the bipartisan board of directors of the Corporation for National and Community Service, the federal agency that oversees such domestic service programs as AmeriCorps, Learn and Serve America, VISTA and Senior Corps. He was first appointed to the board by President Clinton in 2000, reappointed by President George W. Bush in 2007 and elected chair in 2009. 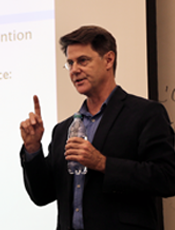 Ian Johnstone is Professor of International Law at the Fletcher School of Law and Diplomacy, where he has been a faculty member since the year 2000. From 2013 to 2015, he was also the Academic Dean. Prior to joining Fletcher in the year 2000, he served in the United Nations’ Executive Office of the Secretary-General. His most recent books include The Oxford Handbook on International Organizations (co-editor, 2016); Law and Practice of the United Nations, 2nd edition (co-author, 2016); and The Power of Deliberation: International Law, Politics and Organizations (2011). From 2005-2007, he was the lead author and founding editor of theAnnual Review of Global Peace Operations. He is currently on the editorial boards of Global Governance journal and International Organizations Law Review. 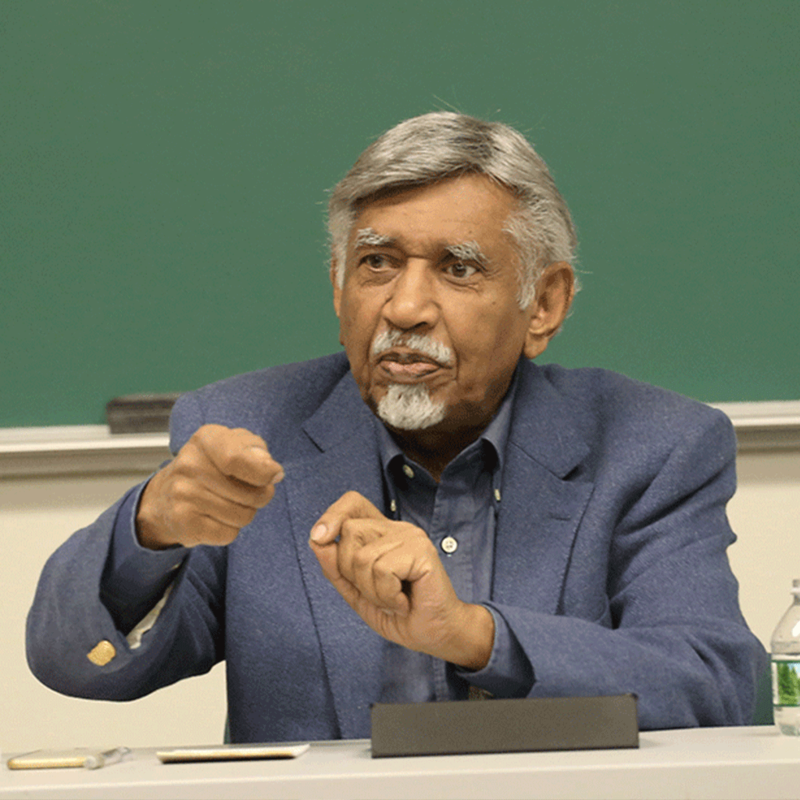 He continues to serve as a regular consultant to the United Nations, and is a Non-Resident Senior Fellow at the Center on International Cooperation, New York University. Professor Berkman is an internationally-renown scientist, explorer, educator and author who has made significant contributions to the sustainable development of our world during the past three decades. He is especially motivated to establish connections between science, diplomacy and information technology to promote cooperation and prevent discord for good governance of regions beyond sovereign jurisdictions – which account for nearly 70% of the Earth. He was former Head of the Arctic Ocean Geopolitics Programme at the University of Cambridge and a Research Professor at the University of California Santa Barbara. 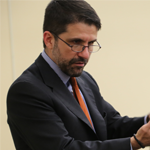 In September 2015, Prof. Berkman joined the Fletcher School of Law and Diplomacy at Tufts University as Professor of Practice in Science Diplomacy. In addition, he is the founder and sole-owner of EvREsearch LTD, Chief Executive of DigIn (Digital Integration Technology Limited) and Chair of the Foundation for the Good Governance of International Spaces. 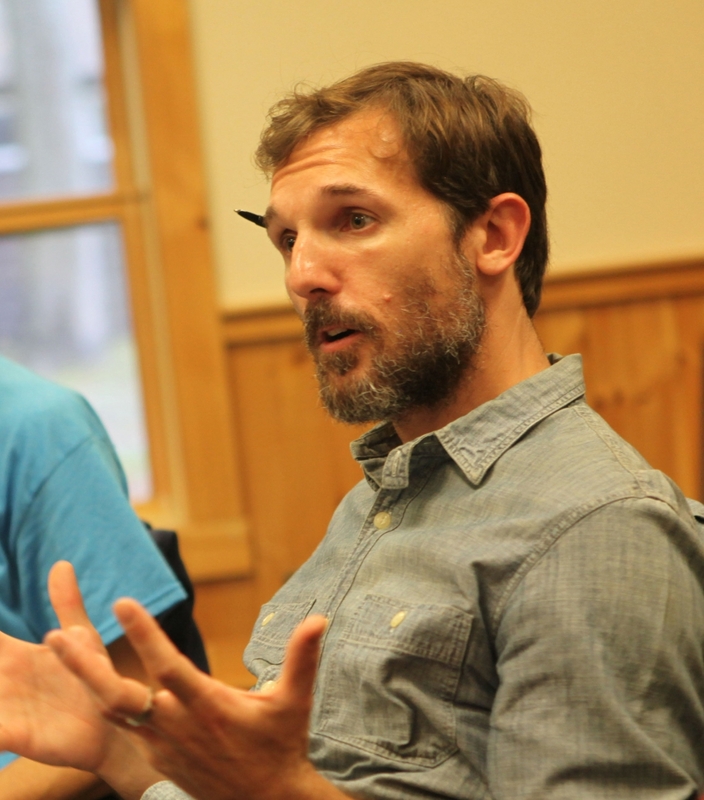 Prof. Berkman also is the coordinator of the international Arctic Options and Pan-Arctic Options projects, which are funded by government agencies from 2013-2020, addressing Holistic Integration for Arctic Coastal-Marine Sustainability. He convened and chaired the Antarctic Treaty Summit in Washington, DC on the 50th anniversary of the Antarctic Treaty, involving 40 sponsoring institutions from around the world along with a keynote address from the United Nations Secretary-General as well as a joint resolution adopted with unanimous consent in the United States House of Representatives and the United States Senate. He also convened the NATO advanced research workshop that became the first formal dialogue between NATO and Russia regarding Arctic security, stimulating subsequent presentations to the Norwegian Parliament and NATO Maritime Command. Jim Stavridis attended the US Naval Academy at Annapolis, and spent over thirty years in the Navy, rising to the rank of 4-star Admiral. Among his many commands were four years as the 16th Supreme Allied Commander at NATO, where he oversaw operations in Afghanistan, Libya, Syria, the Balkans, and piracy off the coast of Africa. He also commanded US Southern Command in Miami, charged with military operations through Latin America for nearly three years. He was the longest serving Combatant Commander in recent US history. In the course of his career in the Navy, he served as senior military assistant to the Secretary of the Navy and the Secretary of Defense. He led the Navy’s premier operational think tank for innovation, Deep Blue, immediately after the 9/11 attacks. He won the Battenberg Cup for commanding the top ship in the Atlantic Fleet and the Navy League John Paul Jones Award for Inspirational leadership, along with more than 50 US and international medals and decorations, including 28 from foreign nations. He also commanded a Destroyer Squadron and a Carrier Strike Group, both in combat. In 2016, he was vetted for Vice President by Secretary Hillary Clinton, and subsequently invited to Trump Tower to discuss a cabinet position with President Donald Trump. 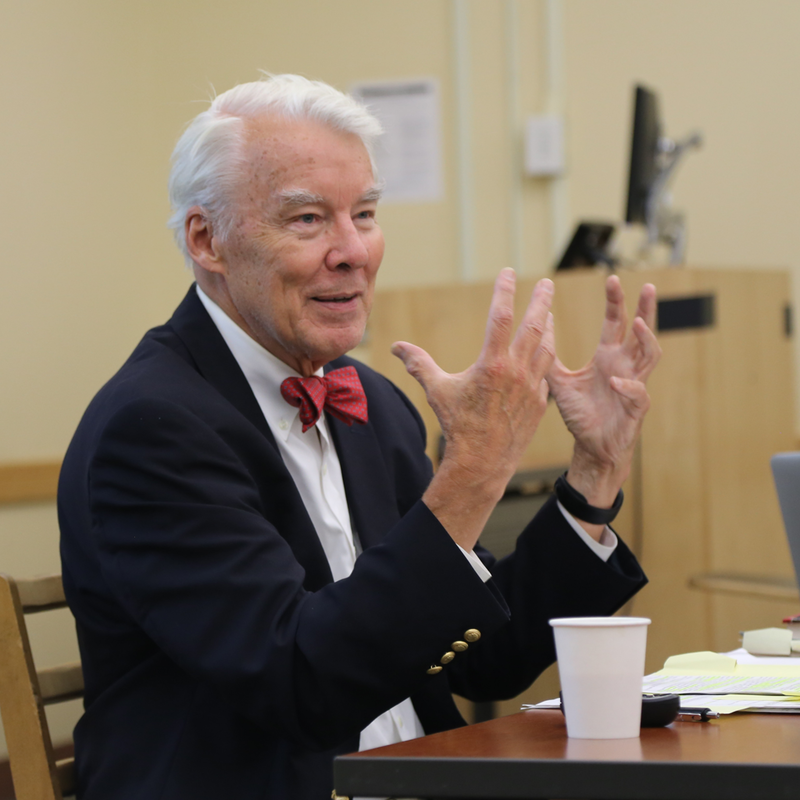 He earned a PhD from The Fletcher School at Tufts, winning the Gullion prize as outstanding student in his class in 1983, as well as academic honors from the National and Naval War Colleges as a distinguished student. He speaks Spanish and French. Jim has published eight books on leadership, the oceans, maritime affairs, and Latin America, as well as hundreds of articles in leading journals. An active user of social networks, he has tens of thousands of connections on the social networks. His TED talk on 21st century security in 2012 has had over 700,000 views. He tweeted the end of combat operations in the Libyan NATO intervention. His memoir of the NATO years, “The Accidental Admiral,” was released in October 2014, and he has two books out in 2017: “The Leader’s Bookshelf: 50 Books That Make Us Better Leaders” in March and “Sea Power: The History and Geopolitics of the Oceans” in June. 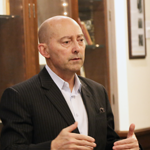 Admiral Stavridis is also the Chair of the Board of the US Naval Institute, the professional association of the Nation’s sea services: Navy, Marine Corps, Coast Guard, and Merchant Marine. He is a monthly columnist for TIME Magazine and Chief International Security Analyst for NBC News. Jim is the 12th Dean at The Fletcher School, a post he assumed in the summer of 2013. 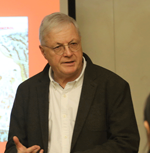 Dr. Bruce Hitchner is Professor of Classics and International Relations at Tufts. He has published extensively on the history and archaeology of the Roman World and has directed archaeological projects in North Africa and France supported by the National Geographic Society, National Endowment of the Humanities, and French Ministry of Culture. Hitchner was the founder and Chair of the Dayton Peace Accords Project (1998 to 2014), and a member of the international negotiating team that assisted the political parties of Bosnia-Herzegovina in producing the April 2006 Package of Amendments to the Dayton Constitution. Hitchner has served as Director of Peace and Justice Studies (2010 to 2017) and Chair of the Classics Department at Tufts (2003 to 2009), and the Editor-in-Chief of The American Journal of Archaeology (1998 to 2006). Hitchner is the co-author with Marshall Harris, Michael Scharf, and Paul Williams of Making Justice Work: The Report of the Century Foundation / Twentieth Century Fund Task Force on Apprehending Indicated War Criminals. (Brookings Institution Press, 1999), He has also authored op-eds, papers, and interviews for the United States Institute of Peace, Center for Strategic and International Studies, ICDT, International Centre for Democratic Transition, International Herald Tribune, Wall Street Journal, Baltimore Sun, Dayton Daily News, Providence Journal, War and Peace Reporting, The Economist, The Guardian, Congressional Research Service, the Voice of America, Marketplace (PRI) and Odyssey (Chicago Public Radio), Radio Free Europe, Voice of America, and leading Bosnian newspapers, including Dnevi Avaz, Osloblodjenie, and Nezavisne Novine. Richard H. Shultz is Professor of International Politics and Director of the International Security Studies Program. He has held three chairs: Olin Distinguished Professor of National Security, U.S. Military Academy; Secretary of the Navy Senior Research Fellow, Naval War College; and Brigadier General Oppenheimer Chair of War-fighting Strategy, U.S. Marine Corps. Since the mid-1980s, he has served as a security consultant to various U.S. government agencies concerned with national security. Part 1: "Challenging the Liberal World Order from within: Global Governance in the Age of Brexit and Trump"
Part 2: "Challenging the Liberal World Order from without: The United Nations and the Rise of the Global South"
Dr. Joris Larik is a Senior Researcher at The Hague Institute for Global Justice working on issues of law and policy of EU external relations and other regional organizations as actors in world politics, comparative and multilevel constitutional law, and global governance reform. Dr. Larik’s work has been acknowledged with several awards, including NATO’s Manfred Wörner Essay Award (2008), the Outstanding Paper Award from the Center for German and European Studies at Georgetown University (2012) and the Mauro Cappelletti Prize for the Best Doctoral Thesis in Comparative Law (2014) from the European University Institute (EUI). 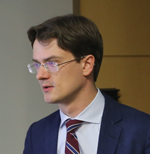 Joris Larik is the author of Foreign Policy Objectives in European Constitutional Law (Oxford University Press, 2016) and co-author of ASEAN’s External Agreements: Law, Practice and the Quest for Collective Action (Cambridge University Press, 2015). Moreover, Dr. Larik has published in peer-reviewed academic journals. He also works as an Assistant Professor (tenure track) at the Faculty of Global Governance and Global Affairs at Leiden University and is an Associate Fellow at the Leuven Centre for Global Governance Studies, KU Leuven. Dr. Alanna O'Malley from Leiden University is a Fulbright Research Scholar at the History Department for the Fall semester 2017. She is a historian of the United Nations, decolonization in Africa, Congo, the Cold War and internationalism, with a PhD from the European University Institute (EUI) in Florence. She holds a position as Assistant Professor of History and International Relations at Leiden University and has previously been a Visiting Scholar at New York University in 2009 and a Kathleen Fitzpatrick Visiting Fellow at the Laureate Research Program in International History at the University of Sydney in Spring 2017. 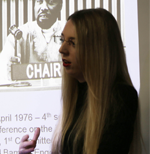 Her first book, ‘The Diplomacy of Decolonisation, America, Britain and the United Nations during the Congo crisis 1960-1964’ will be published in 2018 with Manchester University Press. 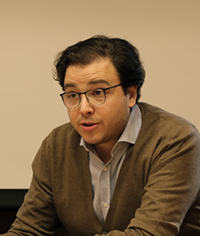 Nawaf Obaid is the Visiting Fellow for Intelligence and Defense Projects at the Belfer Center for Science and International Affairs at Harvard’s Kennedy School. He is also a weekly columnist for the pan-Arab daily, Al Hayat Newspaper. He is currently the CEO of the Essam and Dalal Obaid Foundation (EDOF). From 2004 to 2007, he was Special Advisor for Strategic Communications to Prince Turki Al Faisal, while Prince Turki was the Saudi Ambassador to the United Kingdom & Ireland, and then the United States. And from 2007 to 2011, he worked with the Saudi Royal Court, where he was seconded as a Special Advisor to the Saudi Information Minister. Most recently, he served as the Special Counselor to the Saudi Ambassador to the United Kingdom from 2011 to 2015. Obaid was a Visiting Fellow at the Belfer Center for Science and International Affairs from 2012 to 2017. He has been a Research Fellow at the Washington Institute for Near East Policy (WINEP), an Adjunct Fellow at Center for Strategic & International Studies (CSIS), and a Senior Fellow at the King Faisal Center for Research and Islamic Studies. Sung-Yoon Lee, Kim Koo-Korea Foundation Professor of Korean Studies, and Assistant Professor, teaches courses on Korea and U.S.-East Asia relations. He is a former Research Fellow with the National Asia Research Program, a joint initiative by the National Bureau of Asia Research and the Woodrow Wilson International Center for Scholars, and Associate in Research at the Korea Institute, Harvard University. 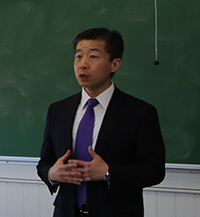 In 2005, he launched at Harvard’s Korea Institute a new seminar series, the “Kim Koo Forum on U.S.–Korea Relations.” Recent publications include “North Korean Exceptionalism and South Korean Conventionalism: Prospects for a Reverse Formulation?” Asia Policy 15, “The Pyongyang Playbook,” Foreign Affairs, “Engaging North Korea: The Clouded Legacy of South Korea’s Sunshine Policy,” AEI Asian Outlook, and “Life After Kim: Preparing for a Post-Kim Jong Il Korea,” Foreign Policy. A frequent commentator on Korean affairs, Lee has appeared on BBC, NPR, PBS, PRI, CNN, ABC, NBC, CBC, NECN, Al Jazeera, among others, and has testified as an expert witness at the U.S. House of Representatives Committee on Foreign Affairs hearing on North Korea policy.